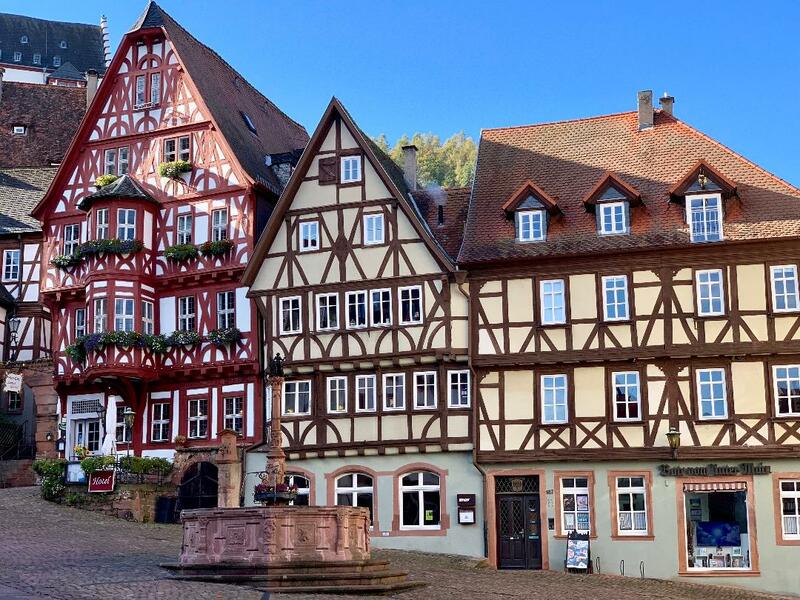 Half-timbered houses in Miltenberg, Germany - these three are from the 15th and 16th century. The oldest one in town was from 1313, the 14th century. I haven't had much time to sit down and write in any detail, or give any historical information about all the places we've visited, so I've just been posting pictures and short snippets to keep you interested. Now that I'm home, I'll put together posts with a few more details on the places I've already written about - Istanbul, Hungary, Slovakia, Czech Republic, and Germany. After that, I'll write about the last two places we visited, which wrapped up our European vacation - Amsterdam, Netherlands and Paris, France.